Here we are in the midst of the Ghost Month, a Chinese festival that is held annually on the 7th month of the Chinese Lunar calendar where the Gates of Hell are opened for the dead and spirits to roam around our world of the living for the entire month. During the month of the supernatural beings, offerings and operas are held to entertain the dead with performance and food of many varieties as a ritual of respect to them. Meanwhile, believe it or not, there are some superstitious taboos that we need to take note on when these spirits are wandering around the Earth with us and we should really follow these not to-do list. Night yamcha kakis out there, this is not the time to have a couple of drinks with buddies on Friday nights as the wandering spirits may follow you back home when the clock ticks after midnight. 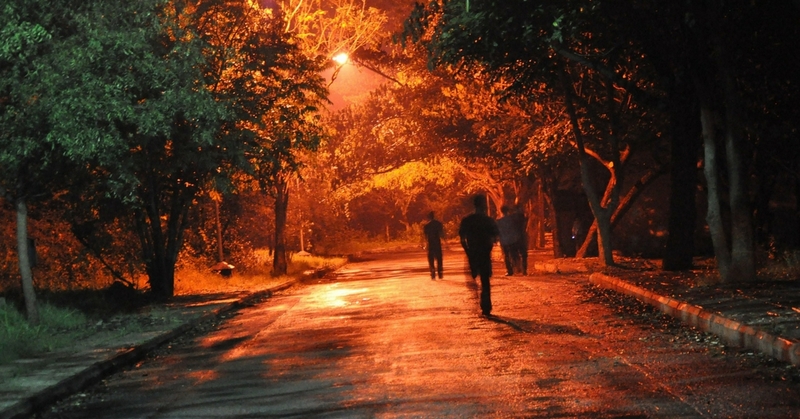 Supernatural spirits are fond of darkness so never get under the shades of trees alone in the dark or while waiting at bus stops. Never get into any spiritual, paranormal games that would attract the spirits as it is definitely a no-no thing to mess with and joke around. If you do step on the offerings accidentally, apologise immediately with sincere heart or else, you will have someone angered by your doings following you back home. Best to not get into swimming this inauspicious month as the spirits may hold you down underwater thus switching places with the dead and lighting candles on your own. 6) Picking up weird items, or just money or coins? Nope, nope…. Nope. Me: Stop! You really mau pick that up, bro? We are in the Ghost Month already. Travelling, moving houses, birthday parties or weddings should not be held as unexplained occurrence might happen and this might serve as an invitation for the roaming dead. The front row seats are for the wandering spirits and to sit there will certainly provoke them. It could be seen as an offering with the chopsticks as joss sticks to the dead. Don’t let the curiosity takes over you when you heard something in the corridors or even someone calling your name. Most importantly, never turn your head around when someone calls and pats you on your shoulder but turn your whole body instead.